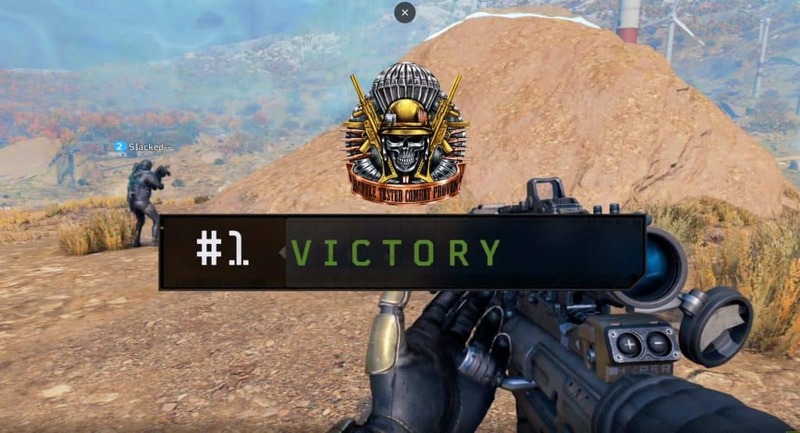 TJHaLy Shows No Mercy In Blackout Victory. Nasty Kill for Win. 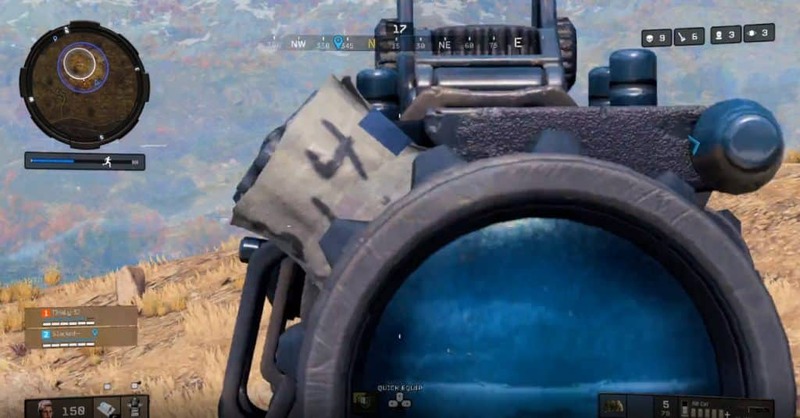 TJHaLy and his teammate were one of the last remaining duos during a Blackout match. With the zone shrinking in, TJHaLy spots the last enemy player and does an insane kill for the victory. 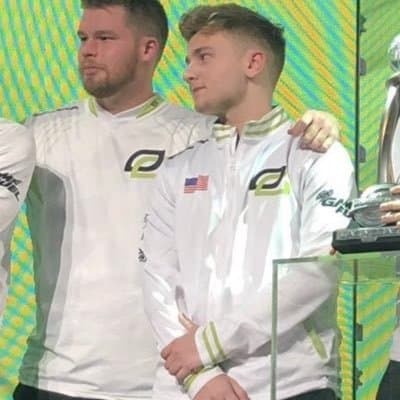 Thomas “TJHaLy” Haly, also goes by his team name “OpTic Teej”, is one of OpTic Gaming’s newest members. He’s become a fan favorite, totally clutching it on key maps at the last CWL Open. With his laid back character, COD fans have been tuning into his Twitch channel to watch more of him. He’s proven to the world that he can play with the big boys, winning the CWL Vegas Open with OpTic. One of the cool things about TJHaLy’s Twitch stream is that he plays other games than just Call of Duty Black Ops 4. He’s been seen playing CS:GO and Madden, giving some spice for his viewers. At 77k subscribers, he continues to grow his channel. One reason why people like TJHaLy is because he’s a lethal player who’s very humble. He’ll pull some of the sickest moves and be cool about it. 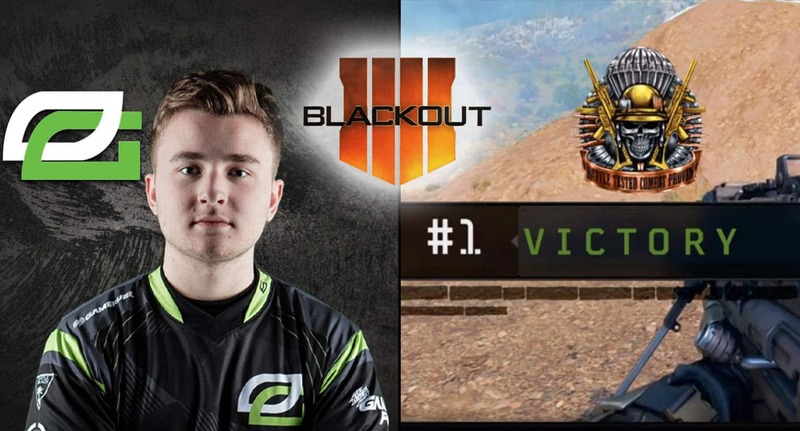 However, with his latest Call of Duty Blackout victory, OpTic Teej can’t believe what he pulled of. TJHaLy Shows No Mercy for Blackout Victory. Nasty Kill for Win. During one of TJ’s twitch streams, he was playing duos with his buddy SIacked on Call of Duty Blackout. During the end of the match, Teej and his buddy were alive with one remaining opponent left. The zone was inbound and Teej was looking to end the match. His reaction is just so awesome, because Teej is a humble guy in general, so when he lets lose, how can you blame him after getting a nasty no scope for the victory. We look forward to more insane kills from TJHaLy. More: OpTic Scump Too Good. Gets Called a Hacker.